A photo blog about mountain biking, skiing, running, weather, astronomy, and more. I have been looking forward to the recent Lunar eclipse (20 January 2019) since, well, the last one actually. During that eclipse, I shot images every three minutes while using an equatorial mount to track along with the stars. The results were good but there was some room for improvement. And that’s why I was looking forward to this event. 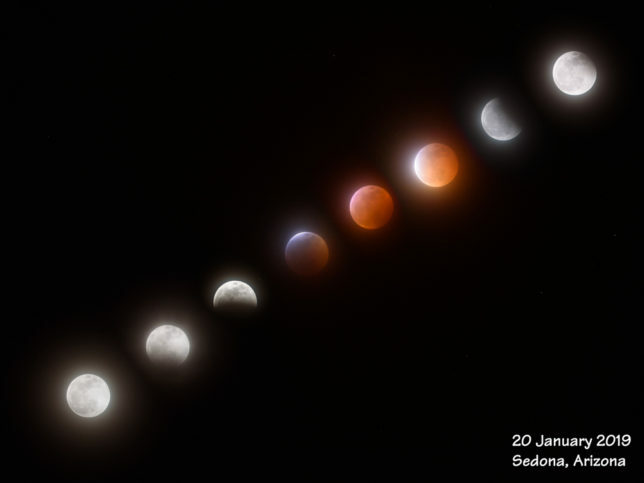 Lunar eclipse of 20 January 2019. The weather had different plans for me. 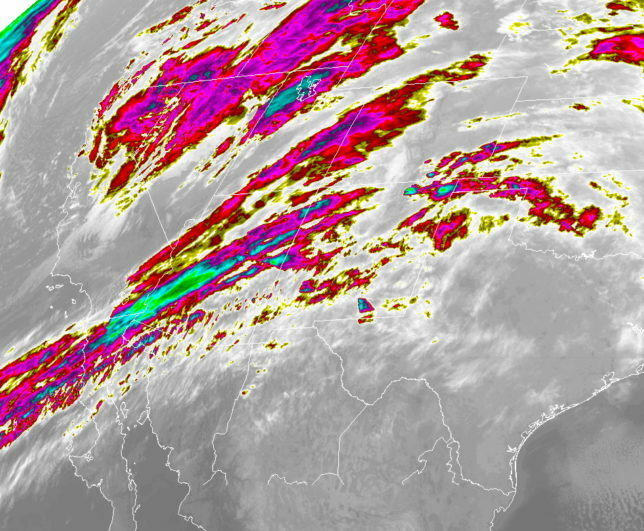 A stream of high-level tropical moisture was sitting right over Arizona all that day and most of the night. By late afternoon, the clouds were thick enough to partially obscure the sun. How was a darkened Moon going to shine through those clouds? I could have just given up and stayed home but I was determined to at least try. I drove to Sedona to set up. Not because Sedona is a better place for viewing than Flagstaff but because Sedona is about 15 degrees warmer. And that matters. I set up the tripod and then roughly aligned the iOptron Skytracker to where I made my best guess of the location of the star Polaris. Just as the umbral phase of the eclipse began, I was able to barely see Polaris through the thin clouds and completed the alignment of the tracker. One of the things I learned last year was that three minutes was too large a time gap to make a smooth time-lapse video. My plan for this eclipse was to shoot at 1-minute intervals. But with the high clouds I realized that any time-lapse video was going to be challenging. So…3-minute intervals again. The clouds varied between fairly thick and mostly obscuring the moon to occasionally very thin allowing some lunar detail to be seen. Satellite image showing extensive clouds during the Lunar eclipse. Here is a satellite image from GOES-16 showing the incredible stream of clouds moving across Arizona. I’m amazed that I got any photos at all!